Leduc Physio - Physical Therapy and Massage Therapy ServicesExercise and FitnessBeware of your Chair ! How long have you been sitting? More than 30 minutes? It might be a good time to stand up, go grab a drink of water and then come back and finish up here. If you are holding your phone and sitting down, let’s go for a quick gander while you read. Just be careful of any stairs! Now that we have all taken a few moments to get our blood pumping through our muscles again, let’s dive into why sedentary work poses so many health risks and how you can improve your workplace habits. According to Statistics Canada, the average Canadian is spending between 9 and 11 hours of their 15 awake hours completely sedentary. For many individuals that work desk jobs, this number is alarmingly much higher, reaching nearly 100% of their day sedentary. The Canadian Physical Activity Guidelines recommend that adults receive at least 150 minutes of moderate to rigorous activity per week. Research found that only 1 of 5 Canadians meet these recommendations. This sedentary lifestyle is linked to many life-threatening conditions, such as obesity, high blood pressure and diabetes. Additionally, you are far more prone to common injuries due to muscles becoming weak, shortened and tight. 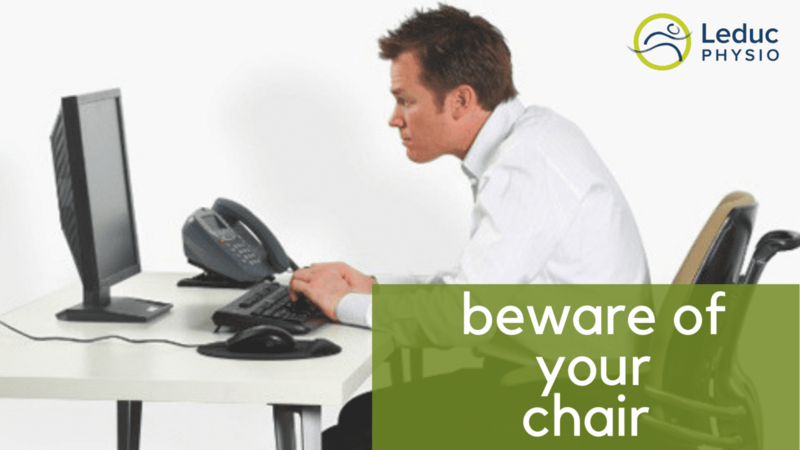 If you think that you have been sitting for too long and often tend to, here are some simple tips to keep you from being sedentary for long durations. Set a timer every 15-30 minutes (more often the better!) 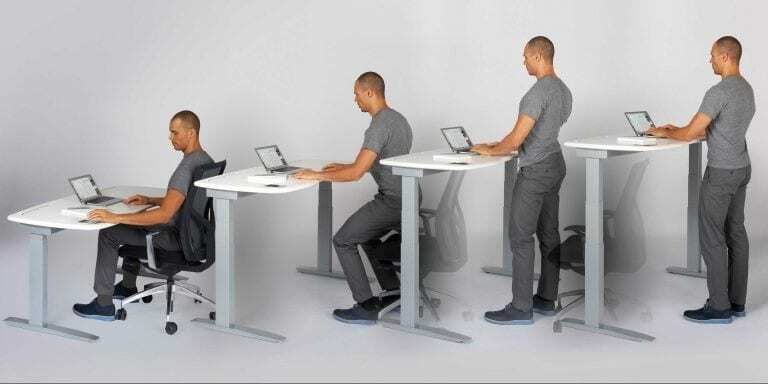 to stand up from your desk. Plan stand up meetings or ask colleagues to go for a walk while you discuss work. Take phone calls only while standing. Use the stairs as often as possible. Instead of messaging and emailing colleagues, get up and meet them face to face. If financially realistic, purchase a sit-stand desk. Use commercial breaks as a reminder to get up off the sofa. Walk and talk on the phone, climb some stairs if available. Complete a couple squats before you sit down. Complete 5-10 countertop pushups every time you enter the kitchen or bathroom. Try to think about easy ways that you can incorporate a few extra steps and exercise into your day. Though standing up and walking to a colleagues desk once an hour may not seem like much physical activity as it is not very strenuous, it will make an enormous difference for you body. Begin with one modification to your day and take it from there! What are you going to choose? Now practice makes perfect, let’s try it now! For more ideas on how you can maintain active throughout your day, visit one of our kinesiologists at Leduc Physio. You can book online at www.leducphysio.janeapp.com or call the clinic at (780) 980-5443 today!